On our site, we try to celebrate the tremendous love that exists between people and their dogs. Like me, they are just crazy over dogs, or whatever pet they have. 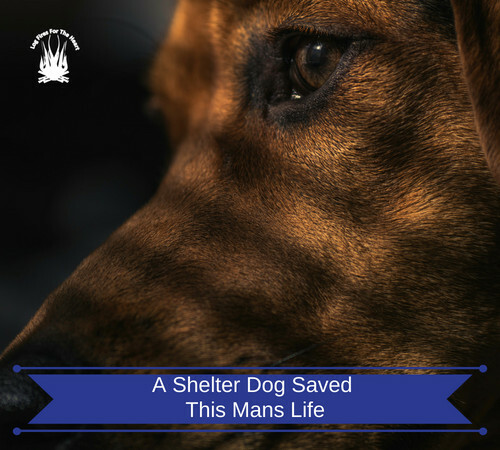 It does not matter if they have come from a rescue organization or a shelter. I find this story on the video below, to be such a dose of inspiration. I think you will too. Several years ago, Eric was overweight, in fact obese, weighing in at 340 pounds. In addition he had high blood pressure, high cholesterol and Type II Diabetes. His doctor told him to buy a funeral plot as he had no more than five years to live. However everything changed the day he met Peety, a rescue dog, which he adopted from the Humane Society in Silicon Valley. Please enjoy the video and always try to support your local rescue groups and animal shelters. They are staffed by amazing people who do such a tremendous job. Humans and animals should live in harmony together, they are innocent beings and they do no wrong. This video shows how caring animals are despite the way we treat them. Thank you for taking the time to post. deeply appreciated. I have had dogs for most of my life and I am always surprised the forgiving and loving nature that they display. I always wonder “Who Rescues Who” as per the video.